K. H. Ara, a founder member of the Progressive Artists’ Group, evolved his trademark style, especially his robust nudes and still-life paintings that are ineffably marked by a life-affirming zeitgeist. 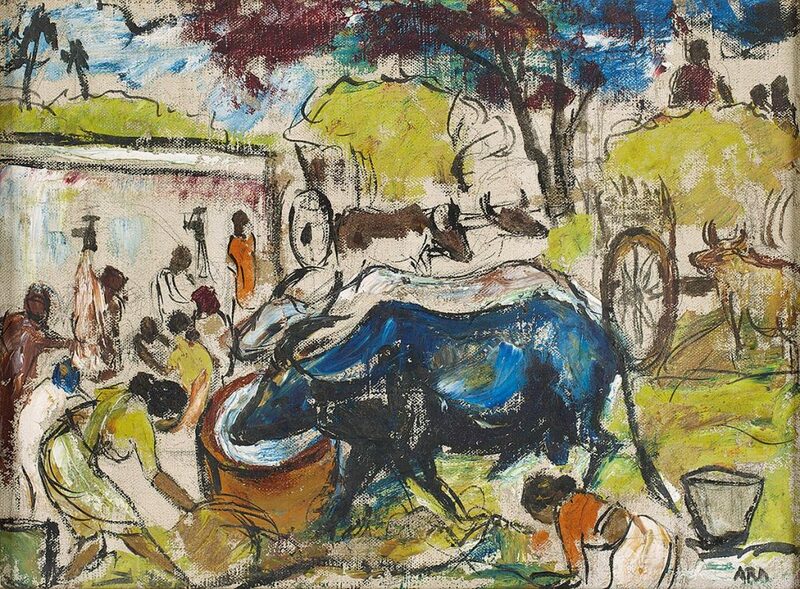 A self-taught artist who was born into penury and imprisoned for participating in Gandhi’s salt Satyagraha movement, Ara became an exemplar of a modern artist who pursued and practiced art in spite of the adverse circumstances of his life in Bombay. Ara had his own take on HIS art practice. 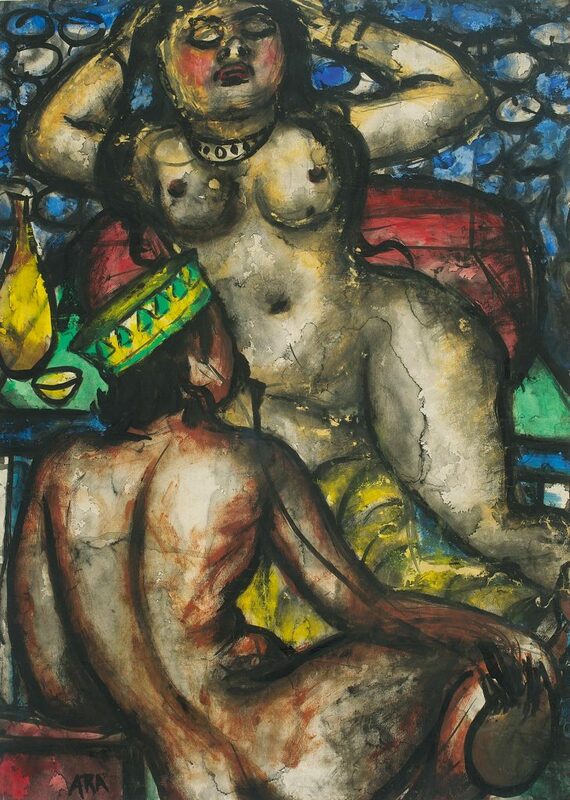 He neither wished to shock the viewer with raw eroticism as Souza did, nor did he want to revisit folk art in the manner of Husain. At a formal level, Ara transformed an act of straight reportage on everyday life into a potentially sensuous communication. He was a modernist for whom the form and language of art preceded all other social and political motivations. His art was always intuitive, imaginative, spontaneous and improvised and not deliberate or intellectual, intent on finding expression. This evolved a certain eclecticism which was neither imitative nor derivative, but led him in an exploration of style on a kind of rambling journey, more a discovery than search. 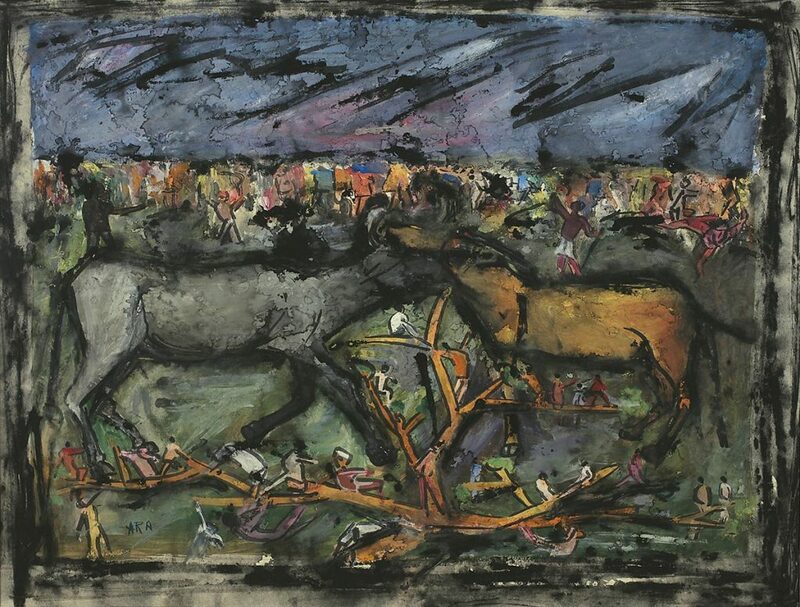 Ara won several awards in his lifetime, beginning with the annual prizes of the Bombay Art Society, the Governor’s Prize, and an award from UNESCO, all before Independence. 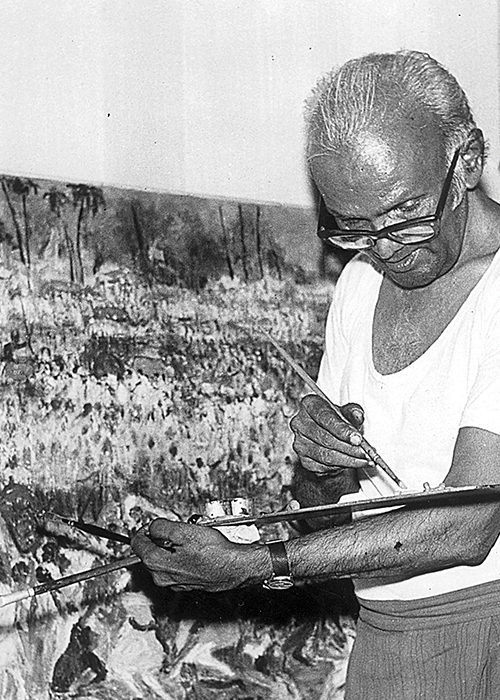 He was founder and secretary of the Artists’ Aid Centre and trustee of the Jehangir Art Gallery, both in Bombay, and was both fellow and general council member of the Lalit Kala Akademi, New Delhi.